If you need a sound bed for summer hiking, downtown biking or park barbecuing, then Eric Swain is someone you may want to follow. 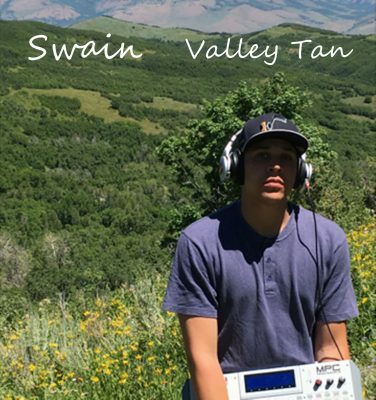 Valley Tan is a soundtrack for Utah hip-hop heads looking to get out and be active in the outdoors. The album features smooth, soothing instrumentals, funk-laden samples and monotone lyrics that range from introspective to lighthearted. Swain can carry a note, too, and he gets his Drake on in several instances on the album. It breaks up his lyrical barrages quite nicely and it isn’t gratuitous enough to warrant questions of whether or not he should be an emcee or an R&B singer. Combining funk with easygoing lyrics is a risky endeavor in the rap genre right now if you want to glean spins and get signed. Contemporary young rappers have started subscribing to conventions, which include chanting, frequent drug references, name drops and product endorsements. You’ll find none of that on Valley Tan. At its core, this is classic hip-hop with an old-school feel from a young emcee who isn’t afraid to represent Utah. Who would have thunk it? The strongest cuts on the album are “Hot Tonight,” “The Life and Grind” and “Funk and Groove,” a track that evokes memories of a blaxploitation movie, or at least a fun weekend afternoon at the skating rink. Swain has a veteran ear for samples and sounds that belie his age and appearance—and his lyrics match as he talks about relationships, his passion for music, goals and, of course, the valley we call home.